March 1, 2018 is an important date for savvy taxpayers: don’t miss topping up your RRSP contribution by this deadline. It’s a great investment for your retirement, of course, but it’s so much more powerful: there are, in fact, three additional tax secrets most people don’t know about that can help you improve your finances. First, your RRSP accumulations will provide valuable options for lifelong learning and for homebuyers, too, as you can withdraw funds for those purposes on a tax free basis, as long as you pay the money back into the RRSP annually, according to CRA’s schedule. Check out the Lifelong Learning Plan and the Home Buyers Plan for details. The third secret is all about your net income (line 236 of the T1 return). Because your RRSP deduction will reduce your net income, you will increase your cash flow—all year long from refundable tax credits and social benefits you may qualify for. Here’s what you need to know. Net income, Line 236 on your tax return, is the income-testing level used to determine the size of some of the non-refundable tax credits a taxpayer is entitled to. The RRSP will reduce that number so you get more. Your non-refundable tax credits can be found on Schedule 1 of the T1 return. Check out the entire list of them by printing this form from CRA’s website. In real dollars, non-refundable tax credits are worth 15 percent of their value as an offset to the federal taxes payable. Their value is higher than that, though, depending on where you live, as they offset provincial taxes, too. Provinces have discretion on what tax credits they offer their residents, so check out what non-refundable tax credits your province allows as the list may be different from the federal schedule. So to benefit, you must have taxable income. Not so with refundable tax credits, like the Canada Child Benefit or the GST/HST Credit. Even people with no income should file for them. But if you have net income, the RRSP can help to reduce it so that you get more of these lucrative credits. Often these credits are simply calculated automatically by the government and sent directly to you—no additional math for you to do. But that’s tricky for some people – you don’t actually see reference to the credits or their calculations on the return; although your tax software will usually provide those references for you. Net income is also the figure used to determine any clawback of Old Age Security or Employment Insurance Benefits. You want to keep as much of those benefits as possible; so if your income is above the thresholds the Finance Department sets out for benefit eligibility, the RRSP can reduce income levels to your advantage. That’s why the RRSP can be your financial hero: it reduces your net income so you get more tax benefits at tax time and all year long. Remember, the higher your income, the more valuable the deduction of your RRSP contributions will be. The RRSP is a very effective tool in reducing taxable income—so do contribute before midnight March 1! Check it out with your tax services specialist, or see for yourself by using Knowledge Bureau’s Income Tax Estimator. 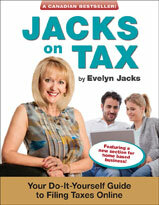 Evelyn Jacks is President of Knowledge Bureau, Canada’s leading educator in the tax and financial services, and author of 53 books on family tax preparation and planning. Filing a tax return is the first, and often most important, financial transaction of the year for millions of Canadians. What’s different in 2018? For starters, the government is hanging on to early filers’ refunds longer than ever. With last year’s average tax refund clocking in at just over $1,735, that’s a big deposit that cash-strapped Canadians don’t have for their RRSP or TFSA deposit. The taxman won’t start accepting tax returns for electronic filing until February 26—two weeks later than 2016 and one week later than year. That means early filers won’t receive their tax refunds until March. Tax filing is really all about how much of your own money you get to keep, and that begins with making sure you only pay the correct amount of tax—no more—and that it gets into your pocket as quickly as possible so you can use it to pay down debt or save for your future. A first line of defense in making sure you do, is not to pay too much off the top of gross earnings in withholding taxes. Ask your tax advisor about what you can do to reduce that risk. It is possible to make a request to reduce your withholding taxes in some cases, using form T1213 Request to Reduce Tax Deductions at Source. The annual tax filing season also gives families a deliberate opportunity to look at last year’s financial results and rethink their savings opportunities. Canadians love their tax refunds; many consider it to be a type of forced savings. It’s always amazing that so many people don’t connect the dots between their tax filing requirements, the time value of money and sound financial planning. Also: Making an interest-free loan to the government for an extended period of time, in excess of your tax obligations, works against your investment potential. Bottom line: It’s unfortunate that CRA will be holding up Canadians’ tax refunds for an extra week this year: two weeks longer than the year before! Remember, the sooner the money is in your hands and the longer it stays invested, the more you’ll save in the long run. So file your tax return—sooner, rather than later. Canada has 1,673,785 aboriginal people, representing 4.9 percent of the population. According to our census, this population has grown 42.5 percent in the period 2006-16 and the average age of the aboriginal people, at 32.1 years, is close to a decade younger than the rest of Canada. There are unique tax filing concerns for these Canadians, requiring specialized knowledge. Approximately 75 percent of aboriginal people have registered Indian status and 44 percent of these people live on reserves. That’s notable because there is a special tax exemption under section 87 of the Income Tax Act for income earned on the reserve by those living there. • Interest Income from a savings or chequing account, a term deposit or guaranteed investment certificate (GIC) that is earned at a financial institution located on the reserve will be tax exempt as long as the financial institution is required to pay the interest income to the taxpayer at a location of the financial institution on a reserve. In the case of a term deposit or GIC, the interest rate is generally fixed or can be calculated at the time the investment is made. • Dividends, too, will be tax exempt if the head office, management and principal income-generating activities of the corporation are situated on a reserve. The same is true of rental income earned from property situated on the reserve. Moveable property rented to someone off the reserve is considered to be taxable. In the case of royalty income, if the underlying right is situated on-reserve, the royalty income will be tax exempt. • Capital gains from the disposition of properties on the reserve are tax exempt. • In the case of RRSPs, exempt income will not qualify for earned-income purposes and so no RRSP deduction can be made. However, if RRSPs are funded with taxable sources, regular rules apply. • Notably, Old Age Security and Guaranteed Income Supplement payments are taxable. So are support payments made by an estranged spouse if the recipient lives off the reserve. • Section 87 of the Indian Act does not apply to corporations or trusts, even if they are owned or controlled by an Indian. A corporation or trust is treated as a separate taxpayer and, therefore, neither would be considered an Indian for purposes of the exemption. If a trust has claimed a deduction for amounts paid to an Indian, the amounts must be added to income unless it can be shown there are factors connecting the trust’s income to a reserve, in the case of business or investment income. Additional Educational Resource: Excerpted from the CE Summit Knowledge Journal, now available for purchase in the Knowledge Bureau Bookstore.